Santa Monica is a popular tourist destination year-round due to its moderate climate and location within Los Angeles and Southern California. Whether you are visiting for the week, or the weekend, there are plenty of things to discover in Santa Monica while enjoying the great weather. Check out our full list of hotels, things to do, and restaurants to help plan your perfect vacation. 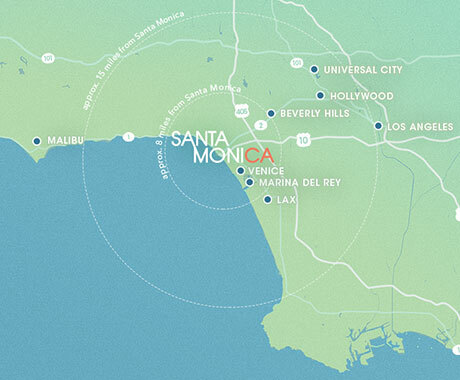 Get the latest Santa Monica Weather updates and plan your trip to Southern California. View the current and future Los Angeles weather and surf reports for the areas surrounding the Santa Monica Pier, and along the LA coastline. 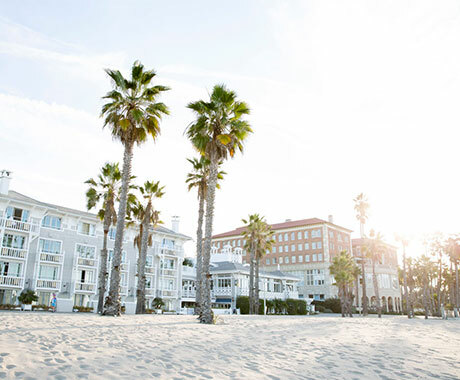 When paired with Santa Monica’s year-round mild, balmy weather and over 300 days of sunshine annually, it is no surprise that National Geographic listed Santa Monica as one of the “Top Ten Beach Cities in the World”.